When looking for a brilliant ultra portable laptop, the specifications are some of the most important things to consider because you do not want to end up with a mini laptop that has no juice to process your daily tasks. This Toshiba R830-1G1 has Sandy Bridge i3-2350M processor and 2GB of RAM (DDR3-1333MHz) which guarantees stutter-free Windows 7 Home Premium experience. 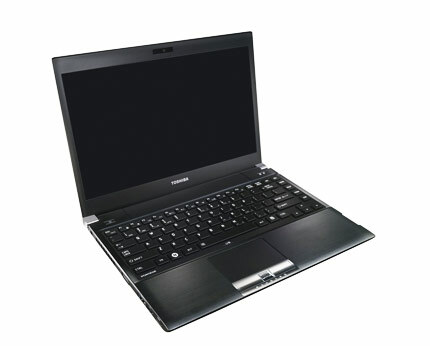 What is more, even though it is incredibly compact and powerful computer, it can run on a battery for almost 9 hours which makes this Toshiba R830 an ideal choice for every business. 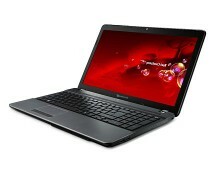 Toshiba R830-1G1 is a combination of both quality and a great price. At just £570.69 constituting a saving of £49, 8%, it is a deal that is definitely worth checking out. As well as this, you get free 1 – 3 day delivery, helping to get it to you quickly for a minimal cost. What is it that really makes the Toshiba R830 such a great buy? 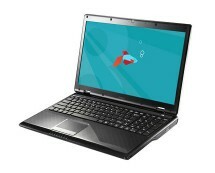 Toshiba is a very well respected brand when it comes to computing, and the R830 series do not disappoint on any front – pretty much all of the specifications of this particular model are top of the line for ultra portable notebooks, so when looking for laptops for sale it is always good to keep Toshiba laptops in mind. If you look at pretty much any of the specifications for it in detail, then you will see straight away – the very first thing you should note is the i3 label on it, showing that it has one of the top of the line processors of the current day and age. At 2.3 GHz, Intel Core i3-2350M will definitely run well all of your applications. Multitasking is not a problem on R830 thanks to 2GB of RAM. In case you will ever need more of memory, R830 has an empty slot, so upgrading is never a problem. Memory is expandable up to 8GB RAM. Further, Windows 7 Home Premium is a perfect operating system for pretty much anything you could need. 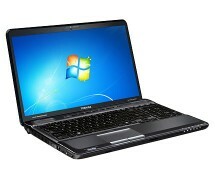 Whether this laptop is for business, school work, when working at home or for general family activities, you can’t really beat it – Windows 7 Home Premium has all that you could need, on a truly amazing laptop. 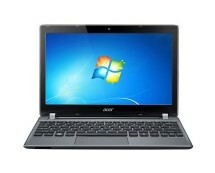 The overall build of the laptop is also something you should take into account – it is incredibly slim and stylish. On top of this the battery life is extremely long, R830 gives you up to 8 hours 55 minutes of run time on a single charge which is very impressive. In addition, it has all of the connections which a modern laptop needs – Wi-Fi capabilities, USB2.0, USB3.0, eSATA, HDMI, VGA and an overall streamlined design. This all put together makes a brilliant investment for anyone who needs an all-round laptop for word processing, surfing the internet, light gaming and more – making this the ultimate tool for any family, at a price which you would be mad to pass up on – get it while it is still this low, as you definitely won’t regret the purchase in the end.